As I chew on some home-grown Native American tobacco I was given by my new friends, I reflect on the adventure I just had to a local ancient sacred site. 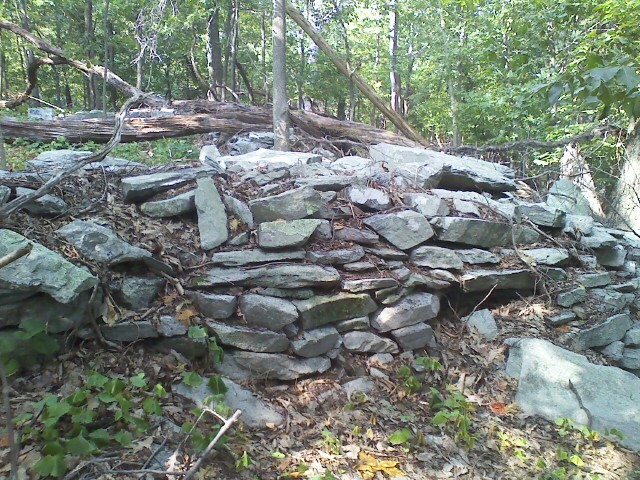 I met with Cherokee and Lumbee Indians who showed me an un-excavated paleolithic stone site. To respect their privacy, I will not go into details of their names or how to get there; but it was a most exciting time! We spoke about how the Age of Aquarius is indeed transitioning out of the Age of Pisces (yes the ages go backwards), and things are changing. We talked about how languages do not have to be barriers, but are important tools for ‘coming to terms’ for sharing between cultures. We found out that we agree ‘agri-culture’ is for everyone (see article in Observer May 2015), and we want to preserve nature and farm land. We recognized the problems of ethnic-biased education, and the perpetual war machine of the MIC. Then they showed me the ancient stones in the gully below their beautiful house. The stones had significant orientation to each-other, according to solar orientation. 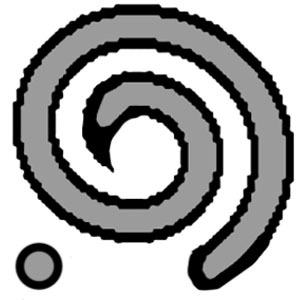 There were clearly piles, circles, a spiral, and a serpentine line of stones. The rocks were of various composition, not the typical limestone of the area. It seems very possible that in the past (I will leave the dating to the archeologists) people used the stones for rituals involving the springs and the creek. Perhaps in this ‘New Age’ people of various cultural back-grounds will continue to come together for similar reasons. My indian friends have started a regional ‘Gathering’ for agri-culture, so yes the pattern shift has begun, and we are actively making it happen. I first learned about SCOD while I was working at my office job in DC. One day I was surfing the net, and came across the SCOD website. I read some articles, watched some videos, and I was hooked. I realized that the Sustainable Cooperative for Organic Development (SCOD) was just the type of concept I had been unconsciously formulating in my own mind for years. My parents were hippies, I had heard about communes, and my friends and I had researched alternative energy as a hobby for many years. It was becoming very difficult for me to justify my modern conventional lifestyle with the scientific theories that I was learning about; you know the usual liberal theories like Climate Change, Sustainable Architecture, and Environmental Pollution. Combine knowledge of science with history, throw in a dose of ethics or spirituality, and something like SCOD is an unavoidable conclusion for someone like me. Sorry, but it just is. The following memoir I had written is a record of my participation in SCOD, and bits of my biography pre-SCOD to give you context and perhaps allow average readers to understand that I was pretty normal, despite the fact that I made a gradual (albeit huge) change in my life that was very different at the time. 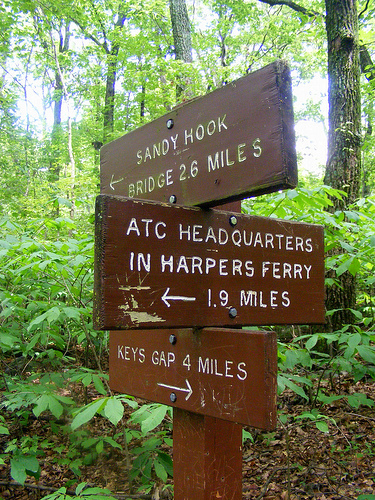 My story follows the events of me leaving my office job, hiking the Appalachian Trail, and finding SCOD. 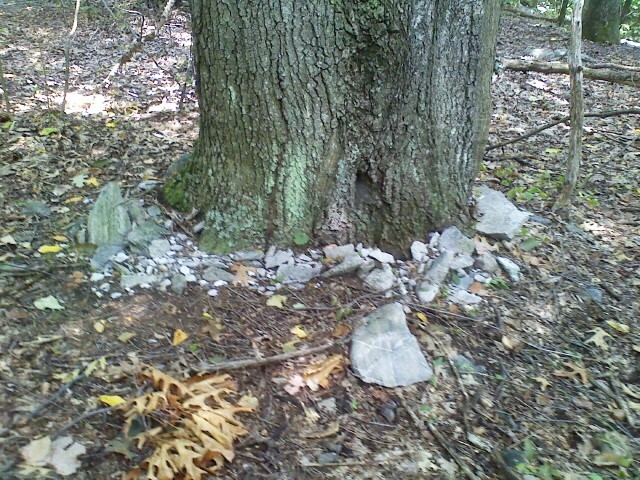 Oddly small white limestones run around the base of some tree trunks. Perhaps they were placed there by fairies or humans, or upon growing the tree pushed the ground around it up through the leaves. 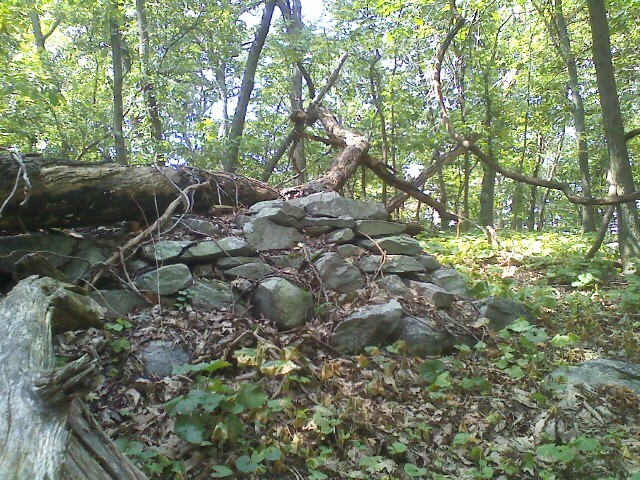 Stone ruins of a Civil War fort sit atop Loudoun Heights Ridge Trail, just as they do on Maryland Heights Ridge Trail; but on Loudoun Heights the ruins are smaller and made of smaller stones. I once camped up here in the rain by myself. 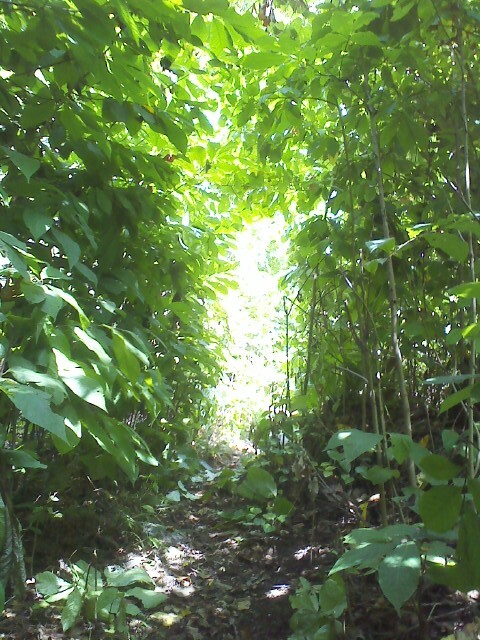 Towards the north-east the path is overgrown by pawpaws. After several minutes of pruning, I was able to clear a hole through the foliage. I used finger snapping, and stick whacking on the branches. 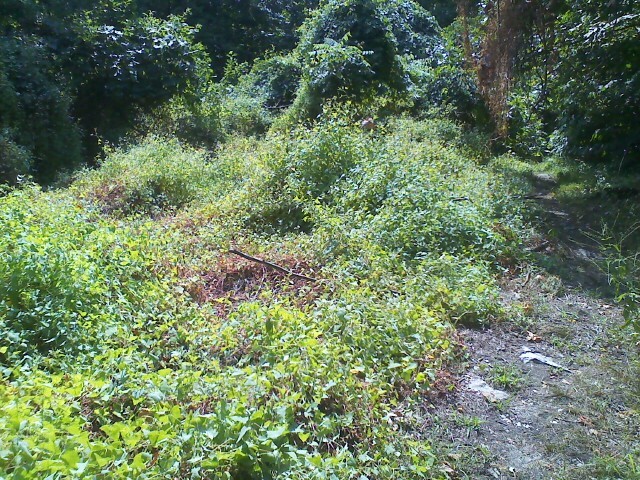 Then the Ridge Trail is threatened by strangle-thorn thin-stem vines, and other thorns (raspberry and thick-stem thorns). Strangle-thorns of the thin-stem variety have odd shaped leaves resembling pale-green wild bean vines. The Orange Trail High End Ridge junction is here. Three AT signs on one brown post. At the top of the mountain, the ground is littered with rocks. Overlooking the Virginia side, there may be felt a breeze on an otherwise still day. Although not a tourist destination, like the Heights’ cliff overlooks, sitting on a rock or log there is reward enough. Also in the Winter there may be a view in both directions. Long ago I camped here with friends New Years Eve of Y2K. During the Winter at night you could see through the trees to the Town Lights below. If civilization was going to collapse because of a technology glitch, we wanted to see it happen from a safe distance. It is the same thinking I had after 9/11 because if there are terrorist attacks, the last place you want to be is in population centers. 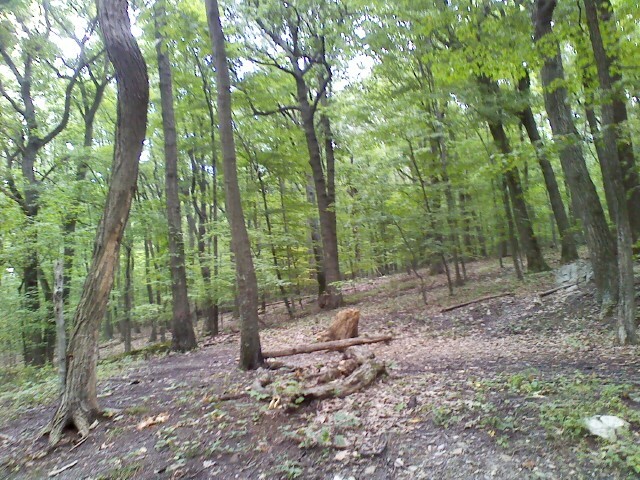 The clearing is large enough for several tents. There is a fair amount of small rocks and logs around, but it is mostly dirt. One medium sized stone is set above the flat area. The loop for the Orange trail starts running along below the campsite. Chestnut Hill Road connects Route 340 between the Bridges, to the communities on “the mountain”; wrapping around to Route 9 through Virginia. You have to cross the road to get to the next part of the trail, that’s why I used it as the junction in my story where the soldiers enter the woods to find the outlaws. It is an unpleasant reminder that we are subjects of the industrial machine. Simply crossing a road can get you killed. The new bridge construction (a few years back), improved the entry to Loudoun Heights. As I crossed under the bridge, I saw the familiar huge tree stump down by the river, still sitting there like a picnic table. 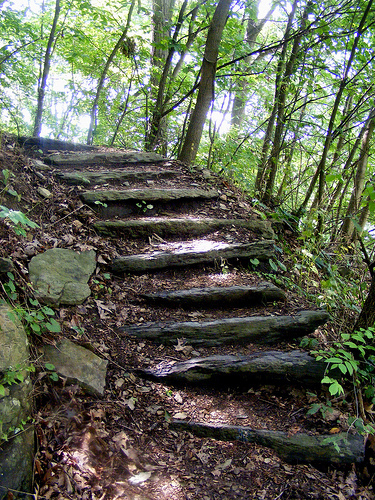 Nettles and raspberry bush thorns plague the massive stone steps up to the plateau. New trees were planted on the plateau, but most have died so it is dominated by meadow plants; and of course big-leaf burr plants line the path so their seeds pods can cling to passing hikers. A massive stone marks the beginning of Loudoun Heights Trail, like a strange transformer robot in hibernation. The dark grey limestone boulder has horizontal striation, in a suspicious pattern. Next up the trail are fern-topped rocks, moss covered stones, and a cliff of both with a small water-fall mountain stream crossing the path. It once flowed clear, but now it barely flows at a trickle. After a couple of switch-backs, the trail arrives at a small clearing near the top of Outpost Hill, sometimes used as a campsite. Faeries live on and in this hill, with hidden treasures. 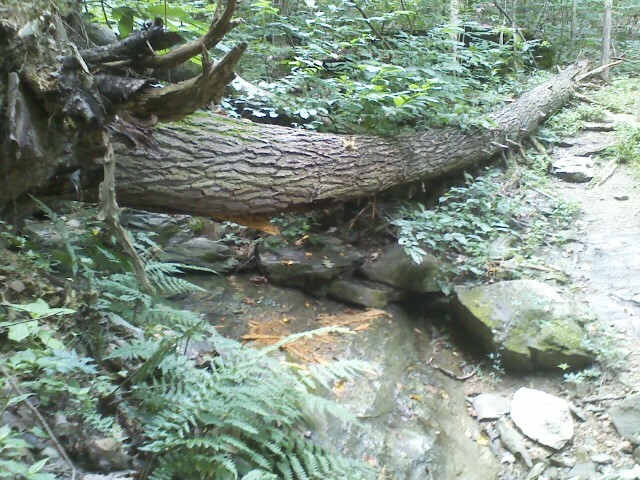 Just beyond, along the trail are large trees, and a huge fallen pine log across a brook.